Description: SULLIVAN STATION!! Beautiful, Bright 3 bedroom and Den, 4 bathroom, 1534 Sq. 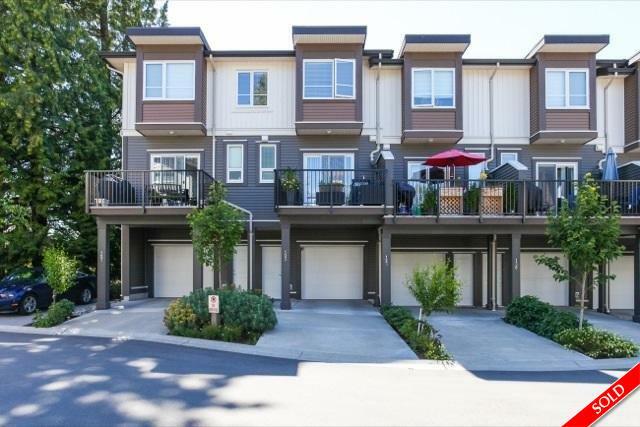 Ft. townhome built by master builder Vesta properties. Main features: Open concept layout with large windows bringing in natural light, modern laminate floors, Living room with electric fireplace, kitchen with granite counters, stainless steel appliances, Dining room, powder and large sundeck. Above: Master bdrm with ensuite, 2 more bdrms, main bath and laundry. Below: foyer, Den and 2 piece bath. Parking for 3 cars with extra storage in garage. Close to schools, shopping, transit, YMCA and Hwy. Great family oriented complex and neighborhood. Like new with home warranty. Call for your private tour.